Forget your Deadpools, Batmans and Captains America. The only superheroes anyone cares about this week are the ones running, jumping, swimming and gymnastic-ing their way through the 2016 Summer Olympics, which kicked off last Friday in Rio de Janeiro for 17 action-packed days of elite international competition, syrupy NBC athlete profiles and more daily Costas than is typically recommended by physicians. So step aside Jason Momoa—right now Michael Phelps is the only Aquaman anyone gives a damn about. And as anyone who grew up quoting Cool Runnings or humming the Chariots of Fire theme while adjusting the treadmill incline can readily attest, Olympic movies go back nearly as far as the actual games themselves. No wonder, since the Olympics are inherently one of the most drama-filled situations on the planet, full of raw personal ambition, superhuman acts of physical achievement and international rivalry. And really, the only thing more compelling than fictionalized Olympics stories on film are Olympic-themed documentaries. When the stakes are this high and personalities this big, truth is often much more captivating than fiction. Done well, Olympic documentaries can take the stories we thought we knew already and discover new ways of thinking about them, re-contextualizing our view of history, sports and the entire world. So in honor of the 2016 Summer Olympics in Rio, here are three of our favorite Olympic docs to watch to while watching international athletes sweat it out from afar. Forget the gold, silver, bronze—these docs are all winners. 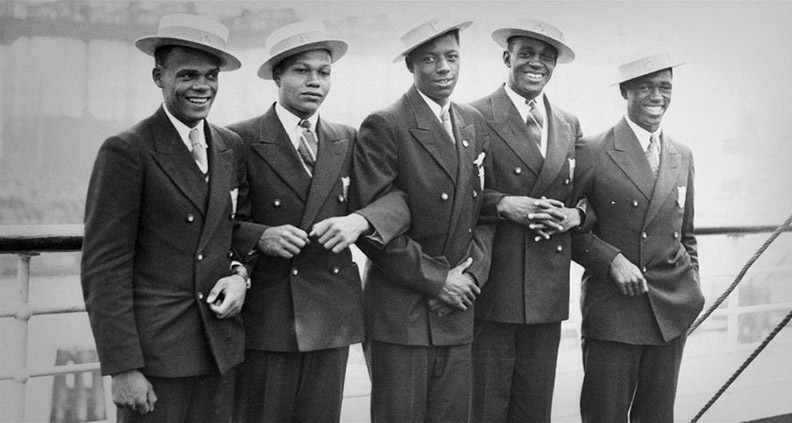 Olympic Pride, American Prejudice (now in theaters through August 11 in New York and L.A.) tells the story of the 1932 Berlin Olympics as seen through the eyes of the American track and field team, the most famous of which was Jesse Owens. Famously, Owens and his African American teammates dominated the international competition right on the Nazi’s home turf, totally discrediting Adolph Hitler’s claims of Aryan physical and athletic supremacy. But while most people are already familiar with the Owens narrative, Pride explores the story of the teammates who competed alongside him; this remarkable group of athletes fought to change racial misconceptions abroad while simultaneously battling racism at home in the U.S. Deborah Riley Draper’s film was supported by the Film Independent Documentary Lab program and premiered at the 2016 LA Film Festival. Similar to the other films on this list, joy and agony of athletic competition is largely ancillary to the greater global drama unfolding in Kevin Mcdonald’s One Day in September, a harrowing account of the massacre of 11 Israeli athletes by Palestinian terrorists at the 1972 Munich summer games. With clinical precision, the Mcdonald outlines just how this tragedy spiraled out of control from fraught hostage situation to mass-murder through botched rescue attempts and failed negotiations. 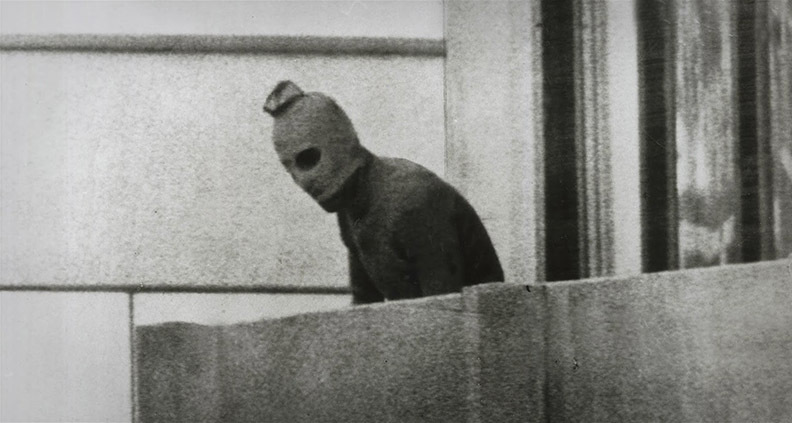 The film even touches on Israel’s state-sanctioned series of post-Olympics revenge killings (which were also the basis of the Steven Spielberg’s 2005 drama Munich). While not exactly the most upbeat Olympic themed story, every frame is completely fascinating, balancing procedural intrigue with a thoughtful character study of the incident’s major players—including the terrorists themselves. 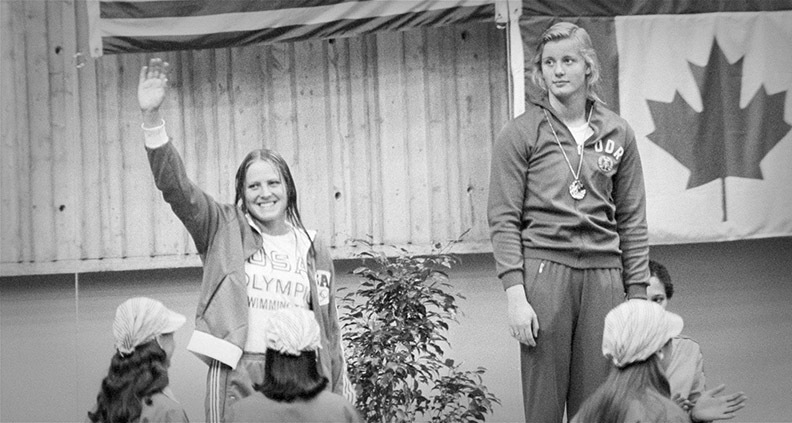 Another 2016 LA Film Festival documentary premiere, Brian T. Brown’s The Last Gold delves into yet another ignominious moment in 1970s Olympics history: the defeat (save for one event—the team’s titular “last gold”) of the heavily favored 1976 U.S. female swim team in Montreal by their steroid-assisted East German rivals. The inspiring story unfolds via an impressive collage of archival material—newspaper clippings, photographs, TV coverage, etc.—and present-day interviews with surviving athletes from both sides, making clear the fact that the East Germans were themselves victims as much as the Americans. Most of the athletes had no idea their government was feeding them drugs, or that they and their families were being monitored by the Stasi. Ultimately much more upbeat than One Day in September, The Last Gold is equally important and engrossing. Forty years later, the collective story of these athletes couldn’t be more relevant, with current American swimmers—namely gold medalist Lilly King and the legendary Michael Phelps—actively speaking out against athletes and institutions associated with doping at the ongoing Summer Olympics in Rio. For more information, please visit the film’s website.